You simply cannot live in Vancouver and not enjoy all the nature, scenery and outdoor activities that British Columbia has to offer. Maybe you have searched Google and seen the impressive pictures of Canada’s West Coast… well, we promise that these images are much more breathtaking in real life! As we approach Summer, we thought we would make a list of the nearby hikes that our students always talk about. These are the top 5 unforgettable hikes that our students love. 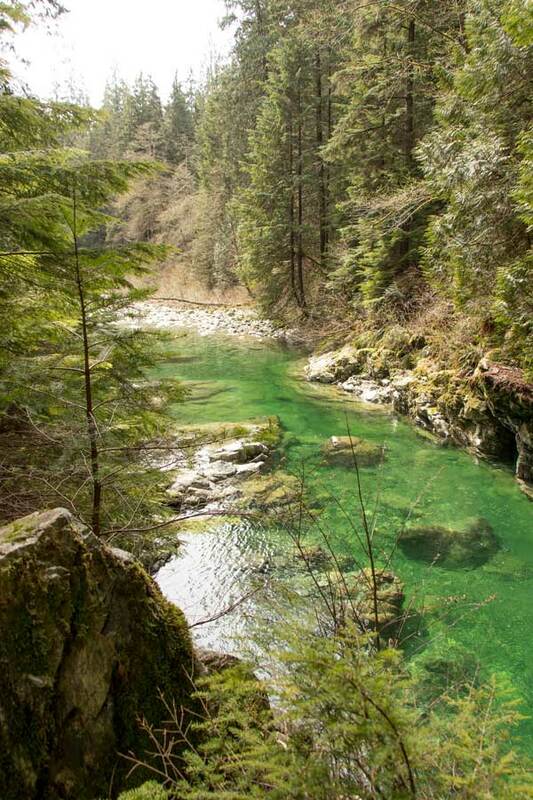 Just a 30-minute trip from Downtown Vancouver, Lynn Canyon Park is a popular beauty spot visited by locals and tourists all year round. 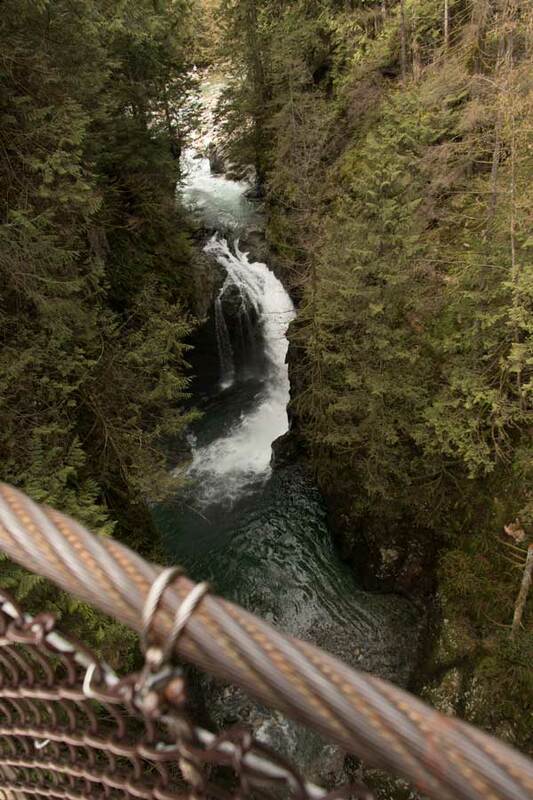 It is home to the Lynn Canyon Suspension Bridge, which is 50 metres above a beautiful river and an excellent place to take adventurous selfies. 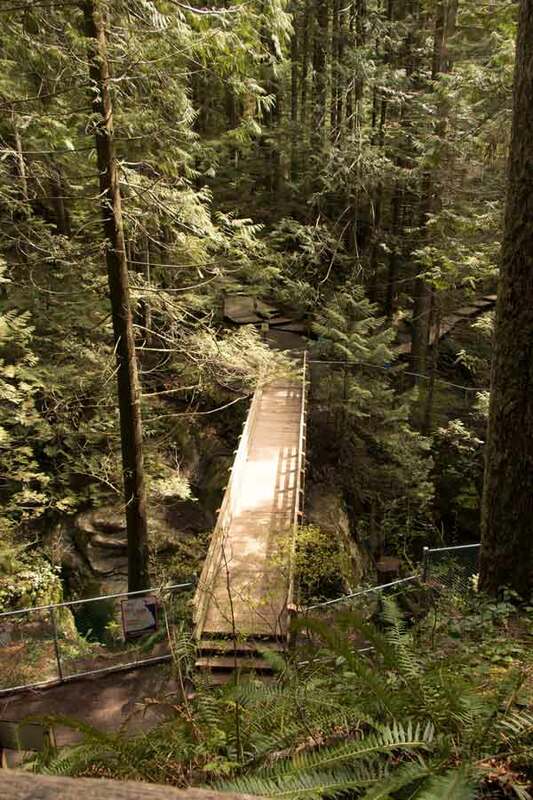 The famous Baden Powell trail passes through the park. There are also different trails to choose from, so if you feel more energetic, you can spend a longer time exploring. If you decide to explore further, you can find waterfalls and lakes such as Twin Falls and Rice Lake, where many Hollywood movies have been filmed. TOP TIP: Go early to beat the crowds. But be sure to return before it gets dark! 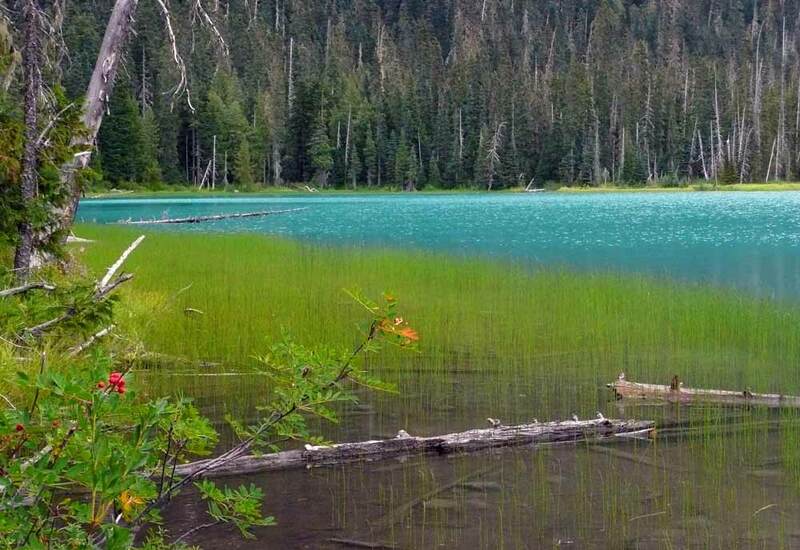 Joffre Lakes Provincial Park is a perfect place for a day trip with your new friends. It is located near Whistler. 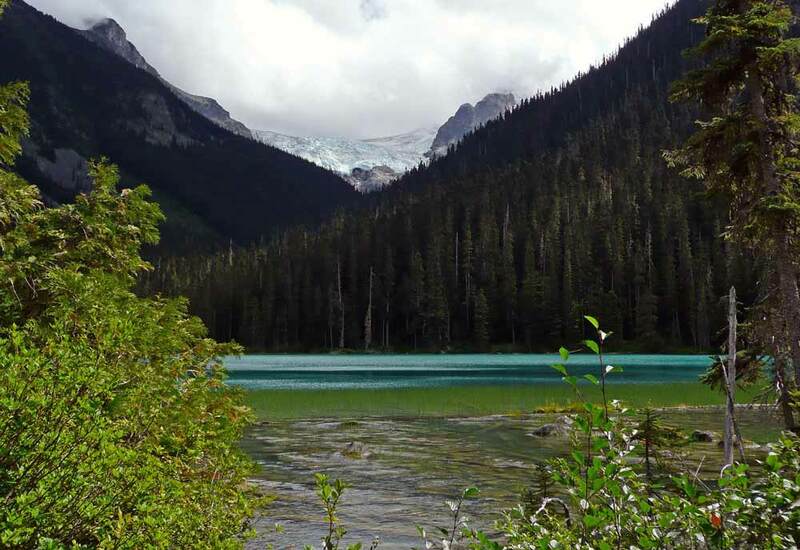 It takes 2.5 hours to drive to Joffre Lakes Provincial Park. You need a car to get there. When you arrive, be prepared for incredible scenery and unbelievable turquoise lakes. There are 3 lakes. You can choose how many you wish to see. Time: If you decide to hike to the third lake, it is a 10km trail and it will take approximately 5 hours. 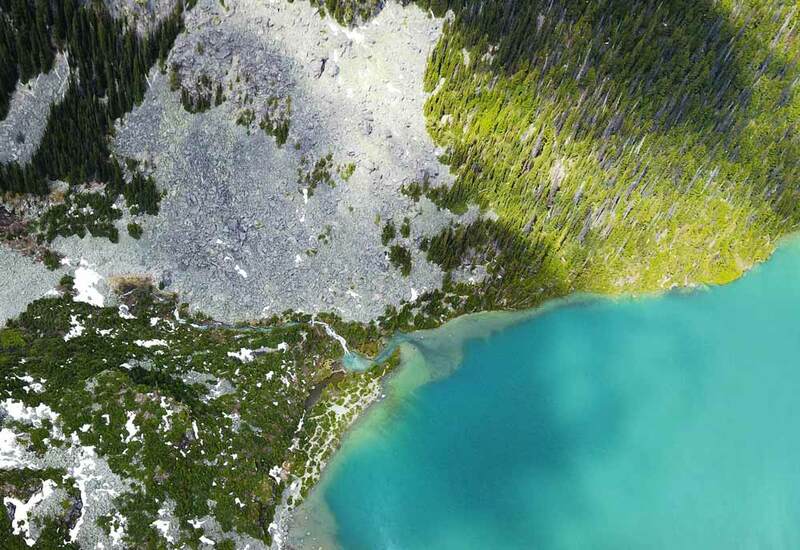 You can even camp at Joffre Lakes, but you need to check the availability before you go. This is one of the most beautiful local parks, located in West Vancouver. You can easily get there by public transport; it takes just 40 minutes by bus. It is an easy hike with different trails to choose from. 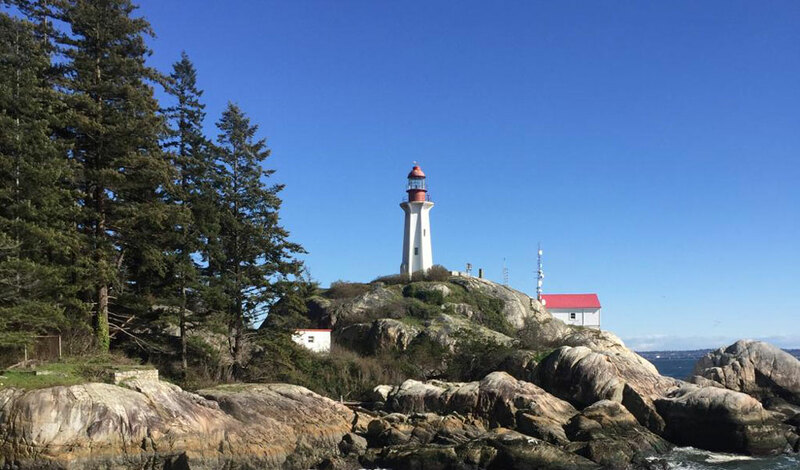 Eventually, you will reach the Lighthouse and see stunning views of the mainland and Vancouver Island. 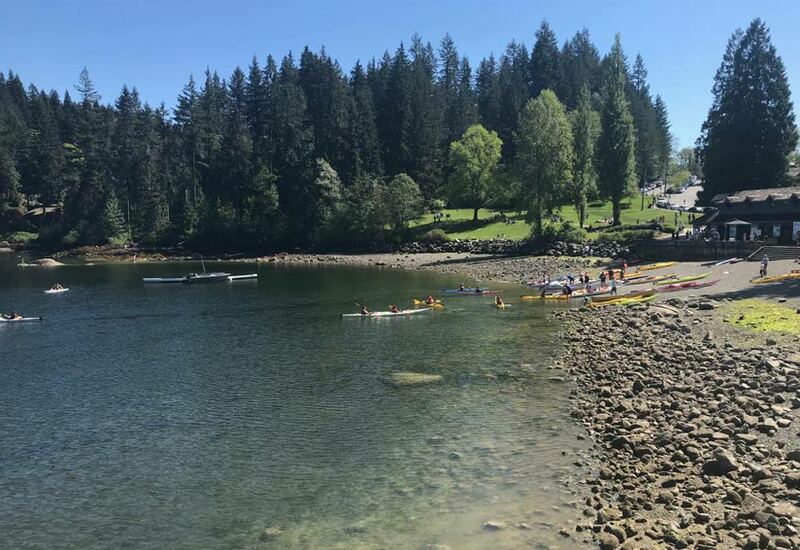 We are so lucky to have Deep Cove nearby! Visited by celebrities and home to the delicious Honey’s Doughnuts, Deep Cove is one of the most popular hiking spots for people of all ages. You can get to Deep Cove by bus. 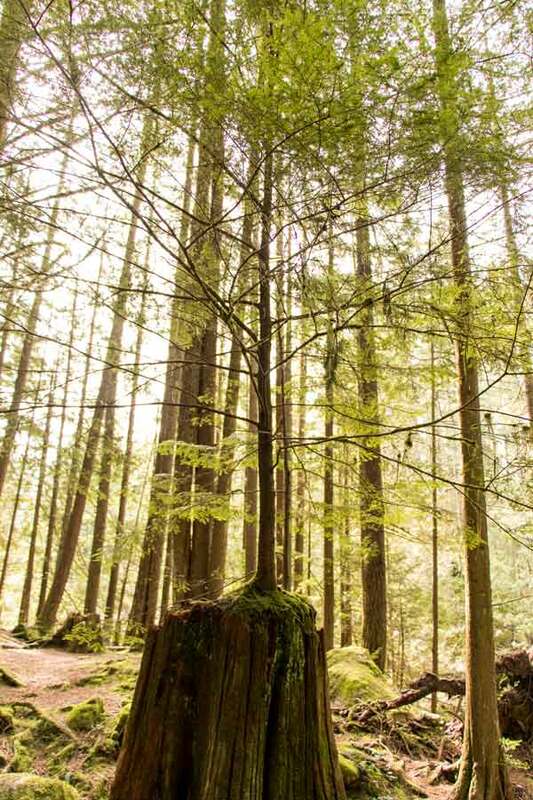 It takes approximately 45 minutes from Downtown Vancouver. When you arrive, you can explore the cute local shops before heading to the hiking trail (part of the Baden Powell trail from Lynn Canyon). 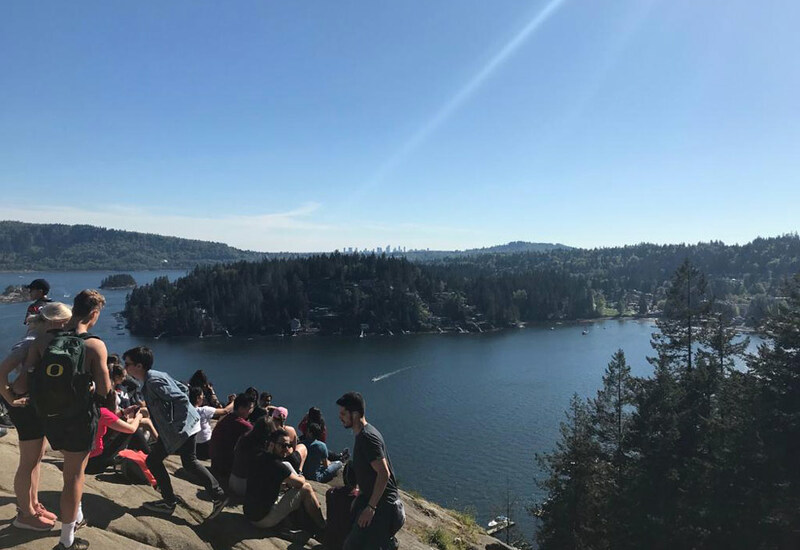 It is quite an easy hike which leads you to Quarry Rock. A beauty spot that looks out over Burnaby Mountain and Belcarra National Park. You won’t believe your eyes. TOP TIP: rent kayaks from Deep Cove Kayak and explore the Indian Arm river; a beautiful glacial fjord! Okay, The Chief is not an easy hike, but it is worth it, we promise! It is part of Garibaldi National Park in Squamish. It is a 1-hour drive from Vancouver and you need a car to get there. It is a beautiful drive along the Sea-to-Sky Highway, where you will look out at the ocean, islands and mountains. When you arrive, you should be prepared for a steep hike. There are 3 peaks, but you can choose how far you wish to hike. Make sure you are smart and safe, wherever you decide to hike. Wear comfortable footwear or walking boots. Take some warm clothing. It can get cold in the forest areas. Be smart about wildlife. You will share the hiking trails with bears. You probably won’t meet one, but you should know what to do if you see one. Check this link to be informed about how to stay safe while hiking, including bear safety! To find out how to live and work and enjoy life in the city of Vancouver, contact us!